The security council passed the resolution number 1325 on women, peace and security in 2000. The resolution calls for adopting a gender perspective to consider the special needs of women during the conflict. It also stresses the importance of the role of women in preventing and resolving conflicts and in the peace negotiation process, humanitarian responses and reconstruction. The resolution stresses the need for women to participate in the efforts of making and keeping peace, and the need to provide her with more protection and guarantees for access to justice in case of the violation of her rights. The resolution has not passed vainly, women have proven their ability to make a change after military conflicts and wars. History is full of examples where women played an essential role in nation-building after the wars and disasters, and examples of this are: women’s role in Europe after the First World War; the impact of Rwandan women in peace-making and maintaining stability after the violent war between Hutus and Tutsis; Irish women who contributed to ending the conflict which lasted for many years through forming a coalition of women in Northern Ireland. In a country like Libya which has been affected by conflicts and is still suffering from lawlessness and instability and where women make up nearly half of the population, it is natural for them to play a key role in the peace process. In this article, I will explain the importance of the integration of Libyan women in peace-building and the concept of peace through a Jusoor survey conducted on social media. I will equally explain the Iraqi experience in adopting a national plan of development and the ways in which Iraqi women were implicated in the development and reconstruction process. To understand the relationship between peace and development and effectiveness of the role of women in the process, we must first define these concepts and understand the relationship between them. The term peace has different definitions. Some argue that peace is the absence of violence, evil and justice, but it is also defined as “the outcome of interaction between civil order and social justice”. However, a more inclusive definition is the one that defines peace* as “not just the absence of war (negative peace) but also the existence of condition to achieve sustainable and just peace. This includes access to food, pure water, education for women and children, security from physical harm and other safeguarded human rights (positive peace). The main idea to understanding peace (just peace) is in the sustainable way, this approach seeks to “stop war” while ignoring and denying human rights and the unjust political and social conditions will not succeed in the long term. In the Jusoor survey conducted on social media, about 150 people participated from different ages and from both genders, and the participants argued that peace “is a general feeling inclusive of all social group members, with availability of living resources and a stable environment to work, learn, be creative and express your thoughts. The stability was repeated in most definitions, one of the participants wrote peace is “security, economic, social and political stability, police, justice and law, and it is “stability which empowers the building of human capital, society and the nation”. And the common link between all these definitions is that peace is stability and security. Some of the definitions reflected the participant’s awareness of the absence of peace and the need for it, and this reflected a greater need for a peace-building process in the country. In another question, we tried to understand the extent of awareness among participants for the sub-definitions of the peace process, and 74% answered positively on the survey relating to their knowledge of the difference between peace-making and peace-building concepts. 17% of participants answered with (not sure) which shows the general understanding while 9% answered with (No). Peace-keeping aims to manage the conflict. Peace-making aims to resolve the conflict. Peace-building aims to reform the conflict. The definition of development is very difficult due to its interlocking elements and mixed concepts. The development concept also delves into the economic and development sector, but the general aim for any development process is improving the country. In 1956 the United Nations defined development as “it is the process which directs the efforts for both people and government to improve the economic, social and cultural conditions in local societies to help them integrate into the life of nations and contribute to provide the best. The woman relationship to peace-building and development is an intimate relationship, it is not just about making efforts to prevent conflicts and provide support to initiatives and dialogues, women also have an important role in reconstruction and economic recovery during and after the conflict has ended. The United Nation Peacebuilding Commission confirmed on the Declaration dated on September 2013 the importance of women economic empowerment in most conflict zones, the declaration emphasized that women play a key role in the rebuilding and reconstruction process, and an economic role in the economic recovery policies. “We admit that the women economic empowerment contributes effectively to the economic activities and economic growth levels in post-conflict phases which leads to the improvement of measures quality and economic recovery policies. These are social outcomes which lead to sustainable development. We confirm the importance of the gender perspective, as appropriate when carrying out the economic activities after the conflict has ended”. Also, the resolution confirms the need to include economic empowerment in the United Nations initiatives and programs for economic recovery. In the survey, the majority agreed that women’s role is important in the peace building process, and this role exceeds participation in conflict resolutions, peace building initiatives and their involvement in peace dialogue. These are vital roles in the rebuilding phase which can achieve economic recovery during and after the conflict. The Iraqi council of ministries approved a National Plan for the security council resolution 1325, to be the first country in the Middle East and North Africa to adopt a national plan to activate this resolution. The Women Affairs Ministry prepared the plan with the aim of involving women in peace and decision making processes during and after the conflicts and protects women from all forms of violence. The Iraqi government had approved the national plan for the security council resolution 1325. The protection axis ensured improvement of strategies, policies and national action plans to combat violence within society in general and against women. It also helps to entrench a non-violent culture in its all forms and work on spreading the peace culture through making educational programs in schools, universities, and social media. Also, there is another point which works on integrating human rights principles, equality, values, justice and gender approaches in policies, programs and projects. On the other hand, the prevention axis confirms the importance of improving the living conditions of women to ensure her rights. As well as the need to provide qualified human cadres to deal with cases of battered women in all levels health, social, education and legal. And a new alliance has been holding between civil society groups in the Kurdistan region (Alliance 1325) in 2015 to make the government develop a contingency plan to better deal with the invasion of the Islamic State in some Iraqi cities. The emergency plan has also included three key elements which are: prevention, protection and participation and it also focused on meeting the special needs of women and the groups affected by the conflict between pro-government forces and the Islamic State such as: the legal, psychological and social health services. 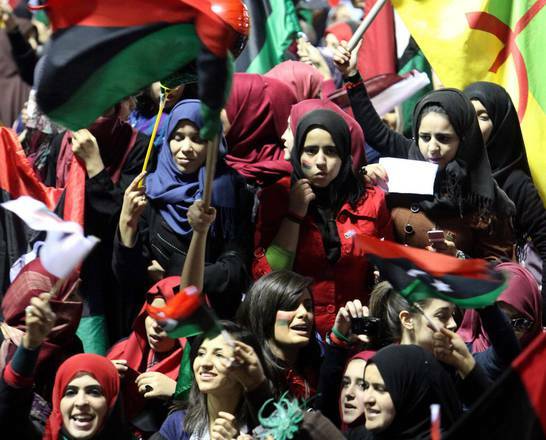 In October 2015, women from different Libyan cities met in Geneva by an initiative from the United Nations to lay the basics for a peace document which would include most Libyan cities as well as different political views. And because of this meeting, a draft has been announced for this document action plan. Although this document was not circulated in the media, we will try to suggest what this document needs to develop to integrate women in peace-building. The Pillars of Peace: From the Iraqi experience, we see that the integration of women goes beyond being one of the victims of these conflicts, but an effective and influential force on her perimeter. And any peace-building process axes must include the participation and protection of women. While the Libyan situation is different from the Iraqi one, we suggest the need to focus on adding the empowerment axes to the women’s peace-building axis in Libya to be in the following form: empowerment, protection and prevention. This includes the empowerment axes in addition to the involvement of women in decision-making, the judiciary and security and a special clause to education and capacity building. It is also necessary for women to engage in peace-building processes, the development process and the reconstruction process. Make and Build Peace: Most of the plans and programs focused on the short term and are limited in its planning to make peace without focusing on the post-conflict situation. For a plan or initiative to be comprehensive and long-term, it should include the peace-building process recovery and reconstruction for the post-conflict phase. Peace culture: Any real movement to make peace must clarify the meanings of this concept and its association to achieve prosperity and stability. Thus, there must be a project to establish a peace culture as a multifaceted project linked to many aspects of development. Involvement of civil society: This plan should be based on including the civil society in its implementation as a stressful and independent authority from the whims and interests of politicians. These organizations should undertake not only the implementation of some of these commitments, but the process or monitoring of irregularities and violations of the peace-building process and the pressure on decision makers to achieve the plan items. To achieve this humanitarian goal, there is a need to unite efforts and to overlook the interests and affiliations. It is a large responsibility that Libyan women must be a part of to ensure a secure and stable future for the next generation. Hala Bugaighis is the co-founder and director of Jusoor Center for studies and development, a legal expert in the field of trade and investment and a mentor in UN Women Empower Women program. Where do we go? Reflections on the Structural Exclusion of [some] Rural Libyan Women from Politics. Jusoor is a Libyan non-governmental organization committed to independent policy research on and human development projects for women with focus on the economic and social empowerment.